The Canada Pension Plan Investment Board invests the money not needed to pay out current benefits for 20 million Canadian workers and beneficiaries. In its annual report Thursday, the fund reported that the fund returned a profit of 11.6 per cent this year, net of costs. As of the end of March, the CPP had $356.1 billion worth of investments around the globe. That figure has risen by $39.4 billion from $316.7 billion a year earlier. Within that, $2.7 billion came from employees with contributions deducted from their paycheques. But the rest — some $36.7 billion — came from profits derived from the value of the investments they've purchased over the years. But 2017 was an easy year for fund managers to make money, as just about every major global asset class gained ground. The Dow Jones Industrial Average gained 25 per cent last year, while the broader S&P 500 was up by 19 per cent and the technology-focused Nasdaq was up by 28 per cent. The Toronto Stock Exchange's main index, meanwhile, gained just six per cent. The CPP invests in a variety of asset classes around the world so that all of its eggs are not in one basket. "Soaring public equity markets through the first nine months of the fiscal year were the primary source of growth," CEO Mark Machin said. "As volatility returned during the fourth quarter, our private holdings proved resilient, adding significant value." The CPP benchmarks itself against something it calls the Reference Portfolio, which is a mix of 85 per cent foreign stocks, and 15 per cent Canadian government bonds. "When public markets soar, as they generally did for most of our fiscal year, we expect our Reference Portfolio to perform exceptionally well, even better than our Investment Portfolio, by design," the fund said in its annual report. "Our diversification strategy means that we expect swings in relative performance, either positive or negative, in any single year." The CPP's return of 11.6 per cent, for the past year at least, beat what the Reference Portfolio did, which was 9.8 per cent. The CPP takes a long investment horizon because it is responsible for paying out Canadian pensioners for decades into the future. 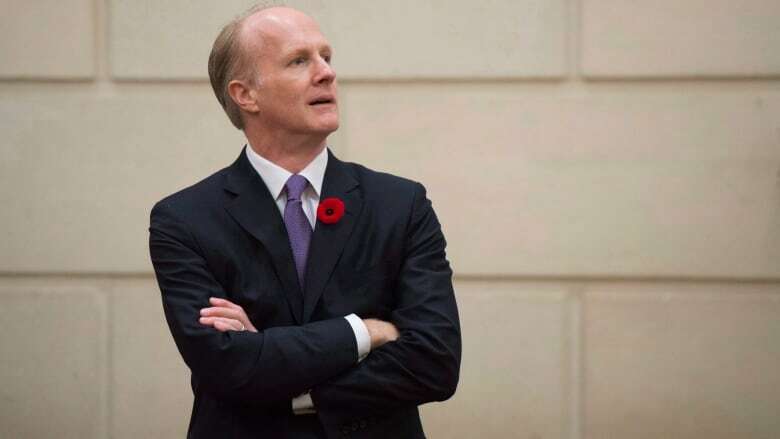 In 2015, the Chief Actuary of Canada declared that the CPP was on track to meet its financial obligations for at least the next 75 years, at its current rate of contributions. At the time, the actuary was assuming the fund could pull off an average rate of return of 3.9 per cent per year, over that long timeframe. Over the last five years, the CPP has managed to return an average of 10.4 per cent per year, inflation adjusted. Over the past decade, it has returned an average of 6.2 per cent per year. On the expenses side of the ledger, CPPIB reported that its costs increased somewhat in the fiscal year. The fund booked costs of $3.192 billion. That's more than the $2.834 billion it spent in 2016 in operating expenses and other investment management fees. A previous version of this story said incorrectly that the CPP's management costs declined in the most recent fiscal year. In fact, they increased to $3.192 billion from $2.834 billion.